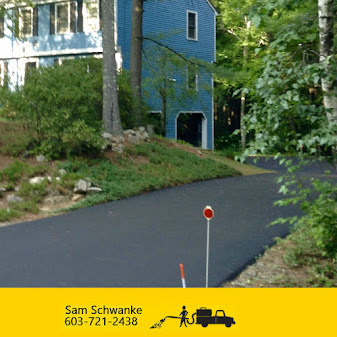 Driveway Patching & Seal Coat Driveways with Sam Schwanke ~ Seal NH - One Driveway at a time! 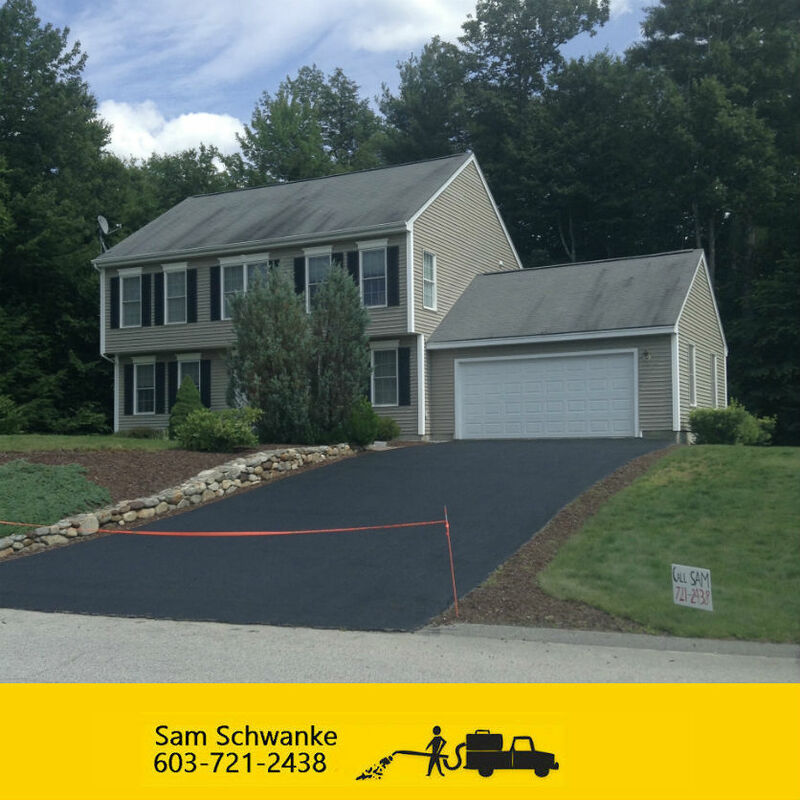 Driveway Patching & crack filling, preparation is critical for a successful pothole repair. 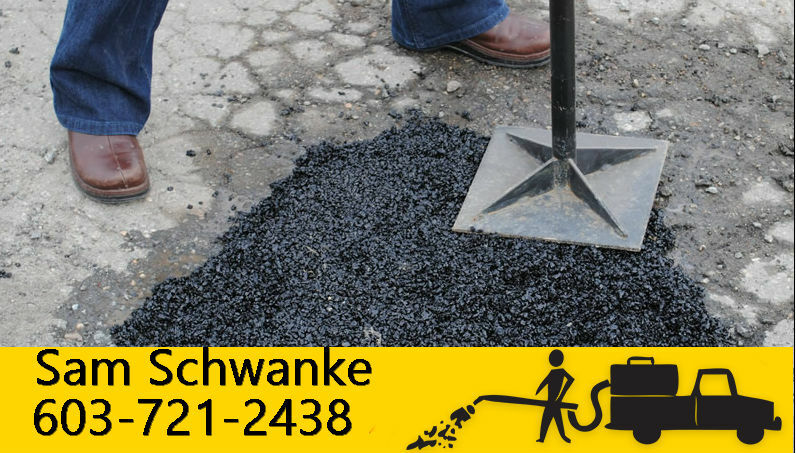 The repair area should be swept clean and any loose portions of asphalt must be removed prior to placing the patching product. Once cleaned, US Cold Patch can even be placed in a pothole where water has accumulated in the hole. Simply place potfill in the hole. 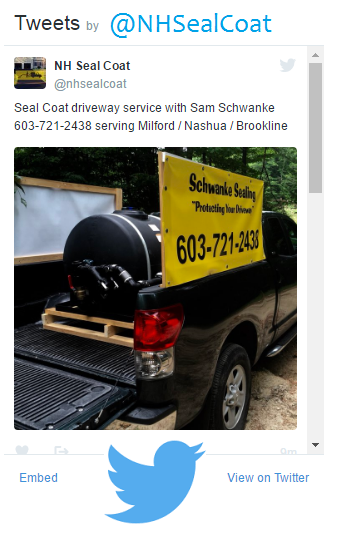 Sam Schwanke's pothole patching materials are called cold patches because they do not require the material to be heated for installation. 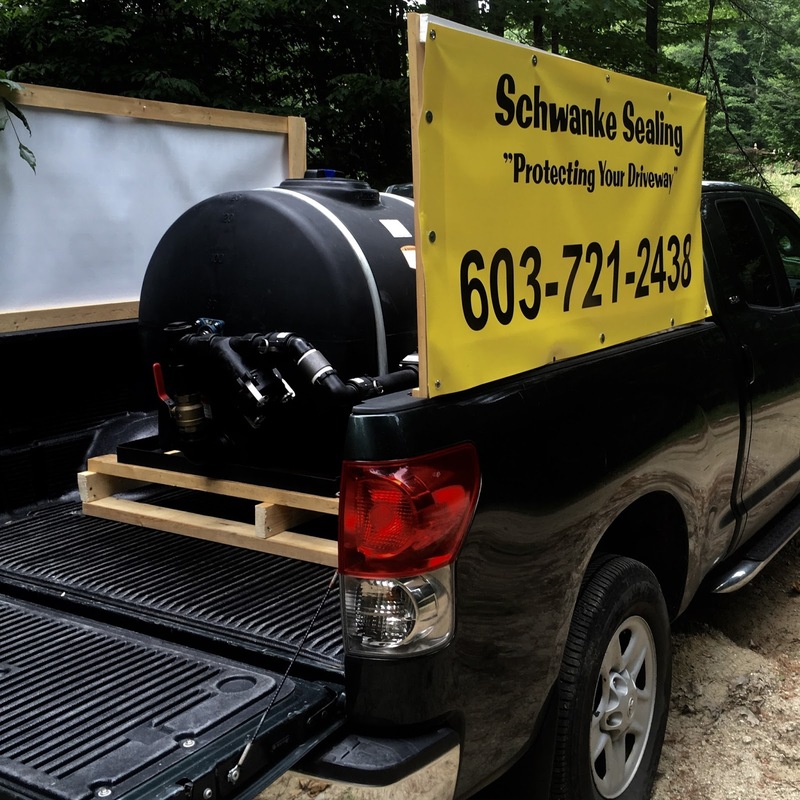 Cold patch materials are best used for smaller repairs and work best when they are contained on all sides. 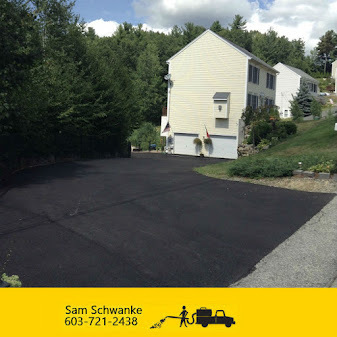 They work off compaction so when used in an area that does not have sidewalls to contain the material it will continue to move around and will not harden properly.